Parade This year the Parade starts at Hove Lawns at 11am on Saturday 5th August and works it’s bootay through the town centre. Thanks to the Official Website for this handy map. Tickets Tickets�for the Pride Festival�on Saturday 5th August are �27.50, increasing to �30 nearer the time so get yo skates on. After Partaaaaaay As usual, there are multiple after parties, including an all girl after party. Win. 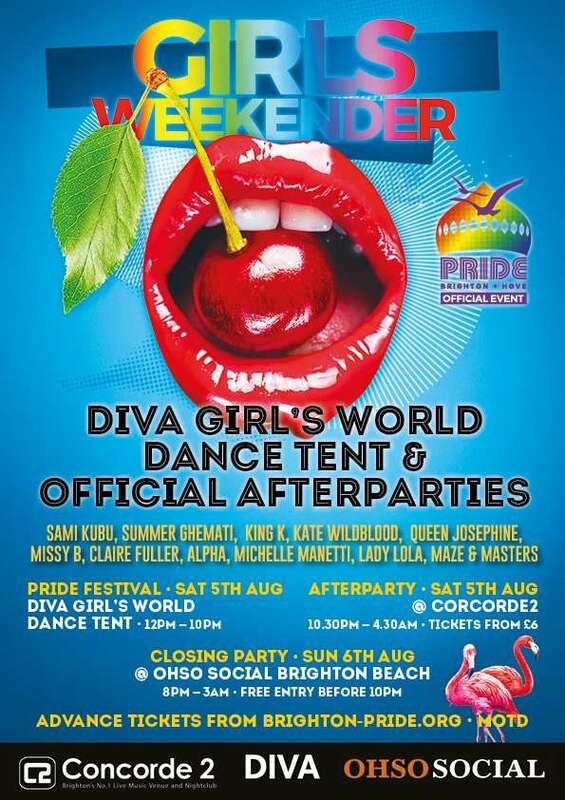 All the official after parties donate �1 per ticket sold to promoting prides community fundraising. Damn straight�Check out the options here. 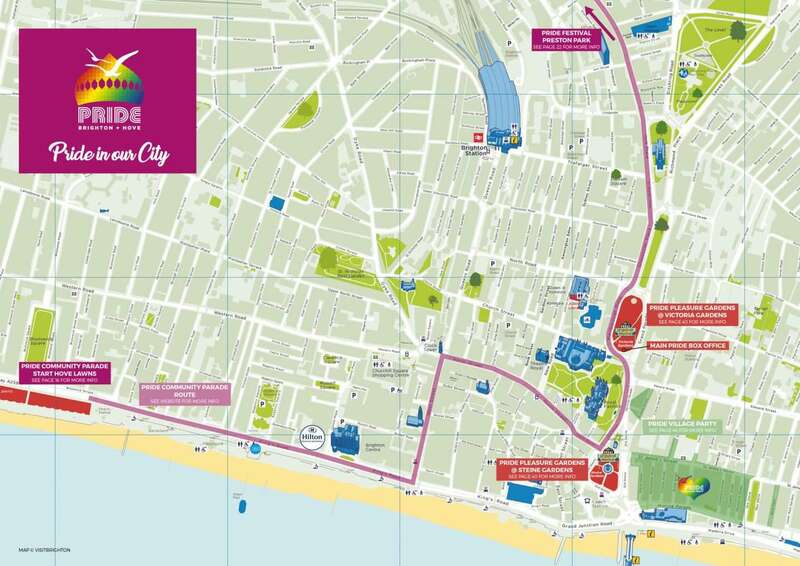 Travel Info A return train to Brighton from London costs as little as �12. Being a dirty stop out? Train tickets are around �24 to return next day. Be a bus wanker, get a National Express for �8.50 iss each way from London Victoria. Driving? Check out PARKONMYDRIVE�to leave your ride on someones drive way for the weekend. Accommodation? 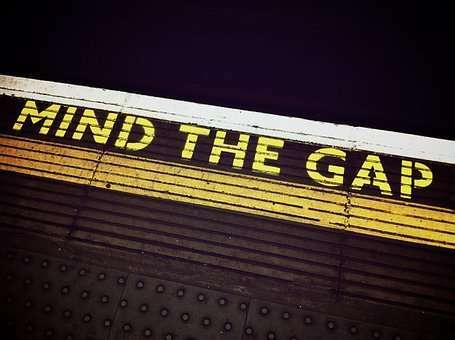 Fancy getting your�camp�on? You�can pitch up for around �15 per person, per night. Check out www.booking.com or www.laterooms.com for some last min bargains. If all else fails, the sunrise is going to be glorious. Don’t Forget Mints Journey Juice I.D Your number. Your name. Your dignity. PS Don’t forget to enter our competition. 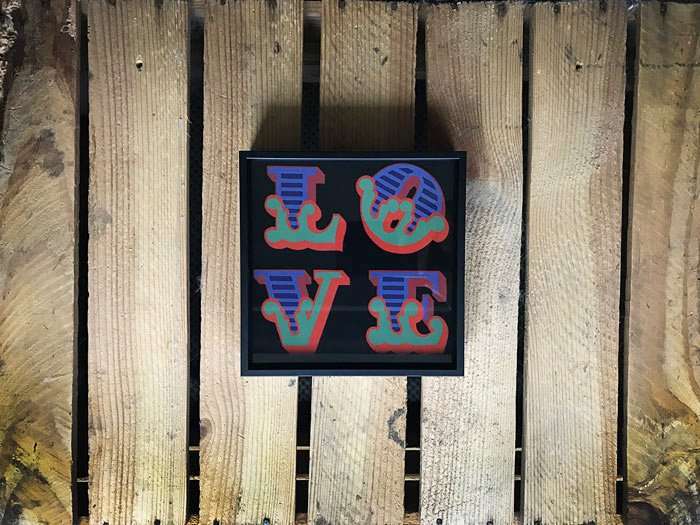 Art Republic have teamed with us to give you the chance to WIN* Ben Eine limited edition, signed print. Nice.�Enter Here. Next Post Time For A New Watch? These Beauties Will Make You Tick.